Thirty-six former Cape Cod Baseball League players made their major league debuts during the first half of the 2014 season, the most recent of which came this past Saturday when right-hander Austin Adams (Hyannis, 2008) pitched in relief for the Cleveland Indians in a 6-2 loss to the Chicago White Sox. With the MLB schedule on hold until Friday because of the All-Star break, it’s a good time to see who’s hot and who’s not among the CCBL rookies who have been given their first shot at big-league stardom. Unfortunately for Adams, he falls into the “not” category. The Indians’ fifth-round pick in the 2009 draft from Faulkner University in Montgomery, Ala., Adams has been effective in his first season at Triple-A Columbus, striking out 34 and walking only eight in 39 1/3 innings. The 27-year-old right-hander was originally a starter, but after missing all of 2012 with a shoulder injury, he was converted to a relief role. The Indians promoted him to have a fresh arm in the bullpen for their final series before the break. But his performance Saturday was neither what he nor Tribe manager Terry Francona had hoped for. Adams surrendered three hits and three runs in the ninth inning while managing to record just one out. “I didn’t want Austin to go to next week without pitching, but it kind of didn’t work very well,” Francona said. Whether Adams will remain with the Indians and be given a chance to reduce his 81.00 ERA, or be sent back to Columbus, is unclear at the moment. Of the 27 big league pitching debuts by Cape League grads, Adams’ ranks at the bottom. But there also have been some impressive performances. 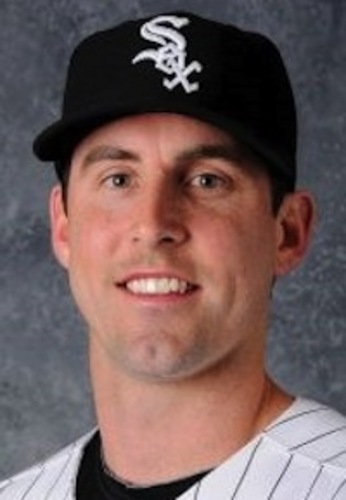 One of the best came April 27 in Chicago, where 29-year-old rookie Scott Carroll (Falmouth, 2006) got the starting nod for the White Sox against Tampa Bay. The 6-foot-4, 215-pound right-hander from Missouri State was summoned from Triple-A Charlotte to fill in for injured ace Chris Sale (Y-D, 2009). He shrugged off the pressure and turned in a solid effort, scattering six hits, walking two and allowing just one earned run in 7 1/3 innings. He was the winning pitcher, besting the Rays and ace David Price, 9-2. Carroll stuck with the White Sox as their fifth starter and has seen some action out of the bullpen as well. His best start came at Fenway Park on July 7, when he pitched 6 2/3 shutout innings in a 4-0 victory over the Red Sox. He allowed just three Boston baserunners on one hit and two walks and finished with five strikeouts. At the break, Carroll is 4-5 with a 4.19 ERA compiled over 68 2/3 innings in 15 games, nine as a starter, Not great, but good enough to keep his newly won spot in the rotation. 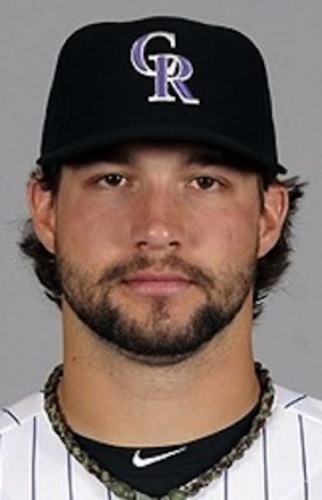 Colorado rookie reliever Tommy Kahnle (Brewster/Bourne, 2010) gave up a hit and a run in his 1 2/3-inning debut against Miami on April 3. The 24-year-old right-hander from Lynn University in Florida won a job in the Rockies’ bullpen and is 2-1 with a 2.68 ERA at the break. Kahnle has pitched 50 1/3 innings over 35 games, walking 22 and striking out 40. David Buchanan (Brewster, 2010) also has earned a major league job after a successful debut on May 24 for the Philadelphia Phillies in which he became the first Georgia State player in the majors. Buchanan pitched five strong innings and was the winning pitcher as the Phillies bested the visiting Los Angeles Dodgers 5-3 thanks to Ben Revere’s 4-for-4 effort and a two-run homer by Chase Utley (Brewster, 1998; Cotuit, 1999). The 25-year-old righty scattered five hits and allowed just two earned runs. He’s 5-5, 4.40 at the All-Star break, picking up a decision in each of his first 10 big league starts. Buchanan walked 17 and struck out 39 in 59 1/3 innings of pre-All-Star game work. Toronto rookie reliever Marcus Stroman (Orleans, 2010-11) also earned a big league job after his May 4 debut in Pittsburgh. Stroman, 23, pitched two-thirds of an inning, yielding a hit and a run against the Pirates. The 5-foot-9, 185-pound right-hander from Duke made 17 appearances over two seasons for the Orleans Firebirds and never allowed a runner to score. It doesn’t get much better than a 0.00 earned run average. The Blue Jays drafted Stroman with their first-round pick (22nd overall) in 2012 and watched him advance rapidly through their system. 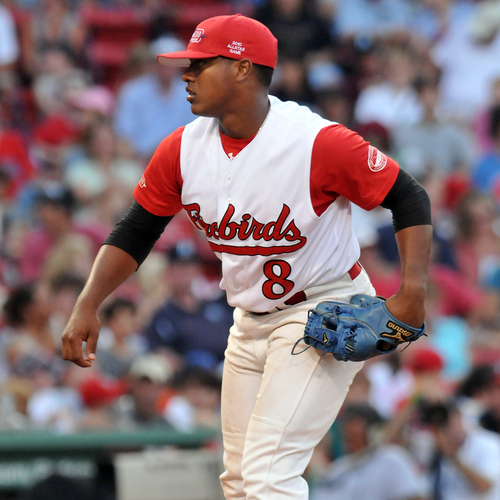 In 2013 at Double-A New Hampshire, Stroman racked up 129 strikeouts in 111 2/3 innings and this spring at Triple-A Buffalo, he had accumulated 45 K's in 35 2/3 innings before being summoned to the majors. Halfway through the 2014 American League season, he has fanned 47 in 53 1/3 innings while going 4-2 with a 4.05 ERA. Two Miami Marlins rookies discovered it’s easier to get to the big leagues than it is to stay there. Anthony DeSclafani (Y-D, 2010) was the winning pitcher in his big league debut for the Miami Marlins in a 13-3 romp over the Dodgers in Los Angeles on May 14. He allowed just two earned runs in six innings, scattered seven hits, struck out seven and helped himself at the plate with a single and two RBIs. Manager Mike Redmond was impressed. "I think with any young guy you're not sure what you're going to get out there, with all of the emotions surrounding a major league debut. Wow. It was fantastic," he said. But DeSclafani could not repeat his early success. He lost his next two starts, saw his ERA balloon to 7.40 and was returned to Triple-A New Orleans for more seasoning. Left-hander Andrew Heaney (Falmouth, 2011) was a hard-luck loser when he broke in June 19 against the New York Mets despite yielding just one run. Heaney, Miami’s first-round pick in the 2012 draft (at No. 9), struck out three, walked one and allowed just four hits in six innings. His one mistake was David Wright's first-inning home run. "He did a nice job, gave us a chance and kept us in the game," Redmond said after the 1-0 loss. "He gave up one pitch to a really good hitter for a home run and that was it. He executed his pitches, got his pitch count up high early, but then settled in. All in all, it was a good start for him." Like DeSclafani, Heaney couldn’t duplicate his first big-league effort as he struggled in three subsequent starts. He was tagged with two more losses, his ERA climbed to 6.53 and he was soon on his way back to Triple-A. Nine position players with Cape League ties have been called up so far this season and three have been solid performers for their respective clubs. University of Connecticut star George Springer (Wareham, 2009-10) made his big league debut for the Houston Astros on April 16 against the Kansas City Royals, going 1-for-5. Houston’s first draft pick (11th overall) in 2011, Springer struggled through the month of April and much of May before turning on the power in June, when he was named American League Player of the Month. At this juncture, his batting average (.233) still hasn’t fully recovered from the slow start, but his power numbers have been impressive. He has driven in 50 runs while collecting eight doubles, a triple and 19 home runs for a slugging percentage of .465. C.J. Cron (Cotuit, 2010) has made his presence felt for the Los Angeles Angels of Anaheim, who made him their first-round draft pick (17th overall) in 2011. The former University of Utah star broke in with a bang May 3 when he went 3-for-5 and drove in a pair of runs against the Texas Rangers. Cron is batting .274 in 52 games split about evenly between first base and DH. The 6-foot-4, 235-pounder has contributed eight doubles, a triple and nine home runs to the Angels’ attack. He also has 27 RBIs, an impressive slugging percentage of .497 and an OPS of .804. 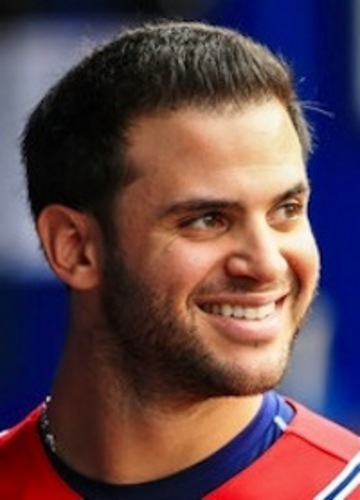 Then there’s Tommy La Stella (Bourne, 2010), who has won the job as the Atlanta Braves’ second baseman. An eighth-round draft pick in 2011 out of Coastal Carolina, La Stella has matured quickly in all phases of the game. Defensively, he is solid, having committed just two errors in 191 chances, and he’s batting .292 with eight doubles and 17 RBIs, though he’s still looking for his first MLB home run. With dozens of other Cape League grads in the minors waiting for their chance, it will be interesting to see what surprises are in store for fans after the MLB schedule resumes Friday.